I really think it is amazing that as a society we have really been pushing new parents to read to their children for 20 minutes a day. We all know that this helps a child in a myriad of ways to become better speakers, writers and readers. I am blessed with a five year old that learned to read completely on her own at age 4, and I believe that reading to her every day of her life has been the reason this happened. The cool thing was, we didn’t have to teach her to read, it just happened on it’s own (trust me, we were shocked and humbled by this development!). Whether that is the norm or not, it got me thinking about math. Why don’t we as a society promote 20 minutes of math play each day, the same way we promote reading? Imagine if children could authentically develop number sense from an early age by counting or playing with numbers DAILY. I bet we wouldn’t see as many students struggling with some of the simplest concepts like even vs. odd. I still have a few third graders who aren’t sure of the difference! This is my daughter “building” numbers today. All we needed was a little paper and some unifix cubes which you can pick up at any educator supply store. I want her to see that numbers aren’t really all that abstract. We’ll be adding many different number representations to our papers each day. I plan to add math play to my 5 year old’s day, the same way we read each day. If you already do something like this, I hope you can share some of your activities with me! Last, this also gets me thinking about my third graders. Is there a way that I can have math play be homework? Hmmm….I’m on it! 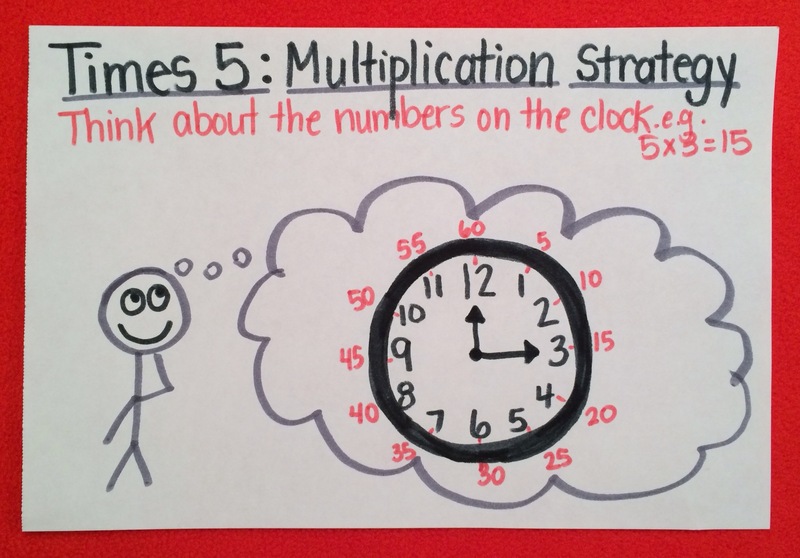 Tis’ the time of year to learn multiplication! I’ve created a new game (TOTALLY free for you to grab) for my students. My third graders have gone absolutely *bonkers* over it. We had been studying arrays as a way to represent multiplication, when it hit me that legos are a beautiful and motivating way to explore arrays! Truth be told the idea came to me at about 3:00 A.M. (isn’t that when our best ideas come to us?) to try to make this a game. 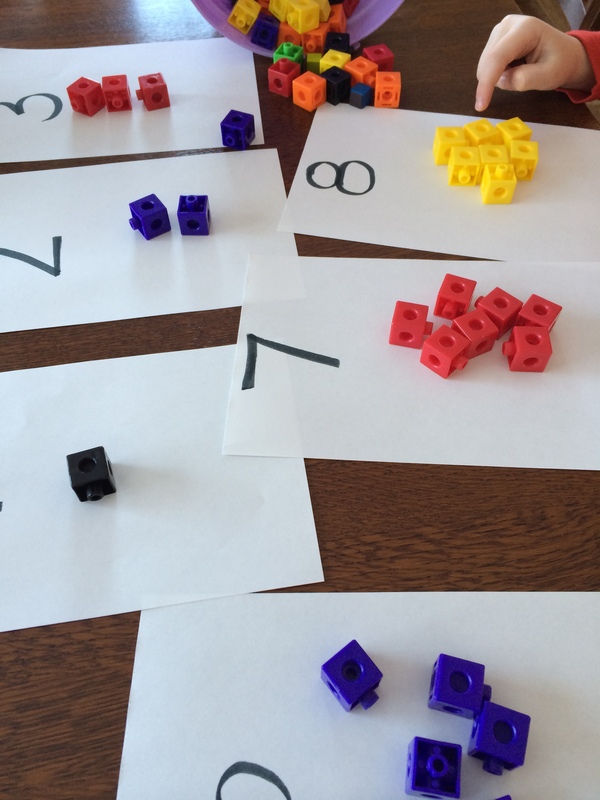 In this game the student multiplies the array of each piece they lay down. (Example: a 2 x 4 piece is written on the recording sheet as 2 x 4 = 8.) They can only lay down a piece by connecting corners, which makes it challenging to fit as many pieces as they can. In the end there is a good amount of mental math addition of multiple numbers that is required to determine the winner. There is a challenge mode included where the students multiply the two blocks together (and in some cases three blocks where the corners touch). This is more appropriate for the practice of facts, as well as for multiplying two or more numbers together. Right now we have a tournament going on, in which the winner chooses a $25 lego set as a prize. They are so motivated that they are staying in at recess to play practice games. Thanks to Nancy for the link up! Remember when analog clocks were the only kinds of clocks around? I grew up with them, digital clocks didn’t really creep into my life until I was in middle school. I learned to tell time at a very early age because of the lack of cell phones and computers with their digital displays. So, I always assume (which I NEVER should) that my third graders know how to tell the time. I shared it with my students, eager to see their familiar “oh, I get it” or “I can connect with that” faces. I got absolutely NONE of that. They just kind of gazed at me with blank eyes. I couldn’t believe it. I asked (very gently), “Do you all know how to tell the time?” (We haven’t done a time unit yet this year, so I haven’t checked their understanding regarding analog clocks.) Instead of a resounding “yes”, I got many downcast eyes. I took an anonymous poll by asking them to close their eyes and raise their hands if they know how to tell the time on the clock on the wall. I was surprised to see only 2 hands go up out of 26. Ouch. We really cannot assume anything of our students. Now that I’ve unearthed this little gem, we’ve got two things to work on at once! We came up with the solution of labeling our classroom clock with the numbers to help us get more familiar with each tick mark. When we get back from break, I am going to brainstorm with my students how we can use the clock in our classroom more often. 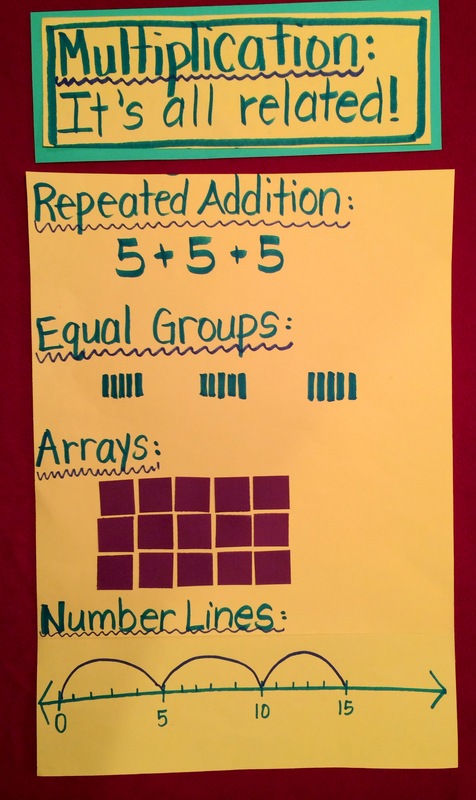 The more we use it, the more useful this particular multiplication strategy will become! Let THEM Make Those Math Connections! One of my favorite parts about teaching math (and multiplication specifically) is all of the amazing patterns and connections from one thing to the next. When I first started teaching I would to preach these patterns to my students. They thought they were cool, but that was about all. One day a student in my class saw a pattern I hadn’t seen before, and I realized that it has WAY more meaning if they discover the connections themselves. Now, when THEY discover the patterns/connections it feels even more amazing, not to mention the fact that it sticks in their minds. My students finally connected with a multiplication concept today. We are at the beginning stages of teaching multiplication, so the whole thing is a little mind blowing to them. They learned to multiply with repeated addition, equal groups, arrays, and with using a number line. I noticed that they didn’t seem to understand how they were all related. So I sat them down with a blank piece of paper with the words: “Multiplication: It’s all related!” I asked them to see if they could find how each thing I put on the chart was related. I didn’t speak as I put up each one, one at a time. The moment came when I got to the third one…arrays…and placed each square up (in rows of 5). I heard a few “oh’s!” and hands flew up in the air. Then they started to predict what my number line was going to do (I drew it out first before the hops-again not even saying a word!). Seeing them predict meant that many of them were catching on to how they are all connected. At the end I asked them what they thought the multiplication fact was, and the answer was shouted to me by 26 children. When I was young, we were told that there was a specific way that we had to show our answers/thinking in math class. We could only show the way that was taught, and we were often times deducted points if we didn’t show the correct algorithm or method. I think that did a great disservice to our generation of mathematicians. I think it limited us in our thinking, and taught us that we were either good or bad at math. There are times that I think math is more about finding creative solutions, than knowing the “right” way. Take this classic example that happened in my class last week! We are working on multiplication and division right now, but there is a group of 5 students who pre-tested right out of this topic. Their knowledge at the beginning stages of multiplication and division was so far beyond the rest of the class, that I have them working independently on my On Stage! 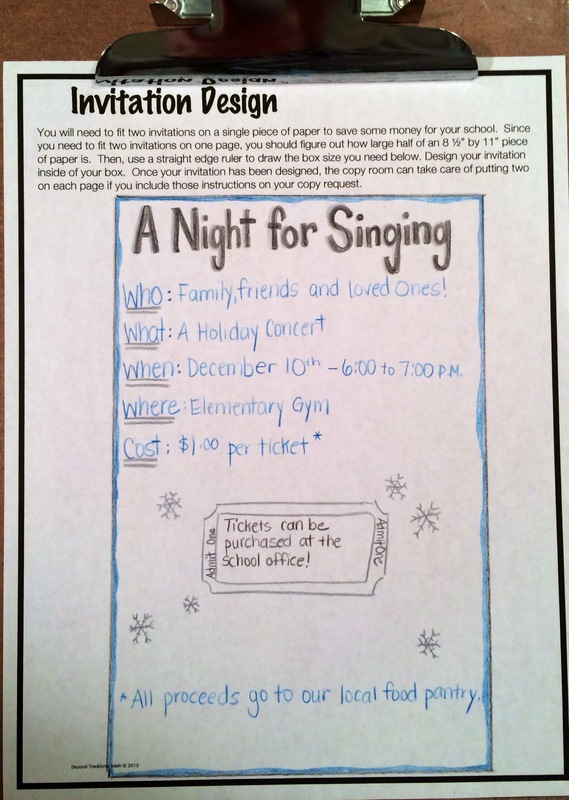 Holiday Concert Performance Task. In this project they are charged with planning a whole entire holiday concert for their classroom. It is really fun to watch them work through each of the tasks in the problem. I schedule in a time to meet with them daily, and loved this moment I had last week. Pictured below is one step of the project (there are 6 total). It is my sample invite that I pull out if they are struggling to understand that particular part of the task. In this part of the project they are asked to find half of an 8.5″ by 11″ piece of paper, draw the rectangle on the given paper and design an invitation for the concert. We talked about how each way was just fine for each type of learner. For someone who understand fractions/decimals, method 2 is great. Perhaps you don’t have a clue how to use a ruler, then method 3 can work. We discussed that there was always more than one way, even if your way isn’t “perfectly mathematical”, we can then think about how we can do it mathematically the next time. The student who used method 3 became a sponge as she listened to how the other two students described the way they figured it out. Allowing students to share their ideas allows them to see that there is ALWAYS more than one way!